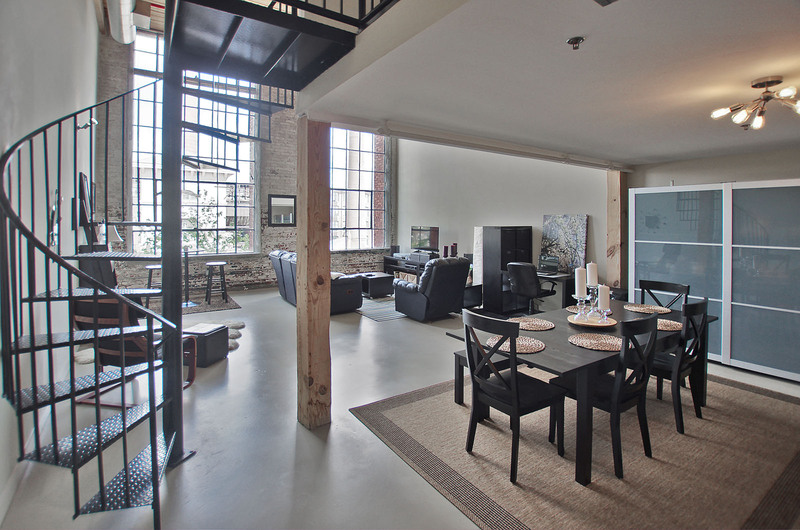 Another loft for sale at the Stack Lofts! Home/Stacks Lofts/Another loft for sale at the Stack Lofts! 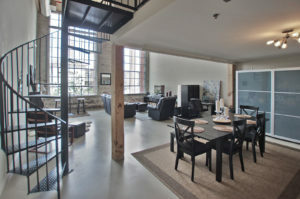 I am really excited about this particular loft at the Stacks Lofts and have been waiting to list this one for years! What makes this loft so special is the incredible views it has of the property. Not familiar with the Stacks Lofts? Well, it was once an old cotton mill way back in the late 1800’s, so this property is chock full of history and has many original features including the old Stacks, which do light up at night along with the pool area. I can literally sit looking out the window from the unit for hours and not get bored, there is always something new that you will find that you haven’t seen before. The unit itself is just as nice as the views. Spread over two levels, this 1 bedroom, 1 bath loft boasts floor to ceiling windows, old exposed brick, wood timber ceilings and painted cement floors. This is a nice spacious unit and a great layout to make it easy for furniture placement. The kitchen is large enough to fit a dining room table to accommodate 8-10 people and the living room has plenty of space as well. You will find extra storage space in the laundry room, which finding extra storage in lofts or condos is hard to come by at times. Also, the energy efficient washer and dryer are included in the sale! With a spiral staircase leading up to the lofted bedroom, where you will find more space to easily fit a king size bed. Master bath has upgraded lighting and tub/shower combo. This unit also comes with 1 covered parking space and the amenities at the Stacks Lofts is one of a kind including the Swimming Pool, fitness center and the amazing community rooftop deck with views of downtown! 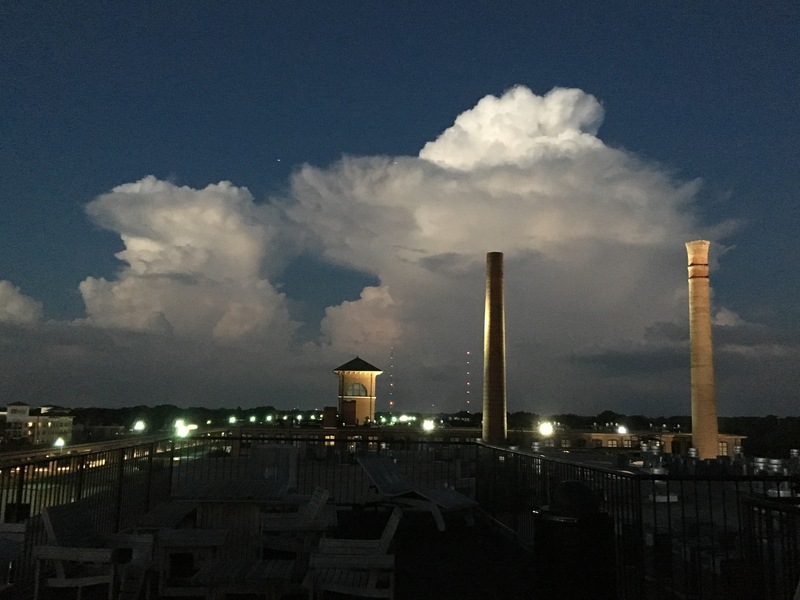 Stacks Lofts is a gated community with 24 hour security and it has plenty of guest parking in case you have a second car! Cabbagetown is an a artsy neighborhood and very walkable to Krog Street Market, the Beltline and restaurants…My favorite is Milltown Arms, great sports bar to catch a game at! Looking for a solid investment? Once the Atlanta Diaries project is complete in the next couple of years, this area will even become more desirable than what it already is! 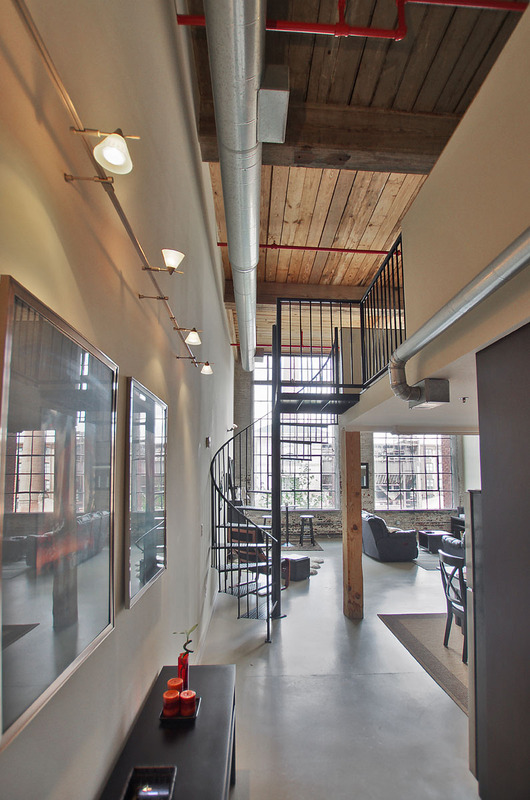 You really won’t find anything like the Stacks Lofts, it is a one of a kind loft building!